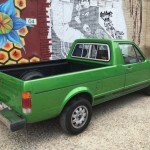 Turbo’d Rabbit Pickup diesels are becoming quite a thing, as they are regularly showing up for sale and make up a large percentage of the little Rabbitaminos for sale in general. Some opt for the later 1.9-liter TDI, but this one appears to be an original (albeit refreshed) engine with a turbo bolted on. It surely boosts performance but sends the mileage up a bit as well, returning an astonishing 50-60 mpg. 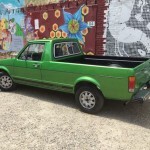 With a fresh coat of a gorgeous Mazda green and very nicely reupholstered Jetta seats, this little Caddy flies under the radar but hides a serious performer. All this comes for what, compared to some Rabbit Pickups, is a downright reasonable price. 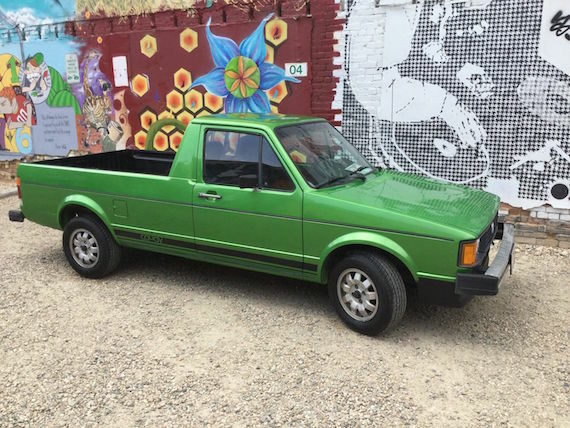 1981 VW Caddy Pickup Turbo Diesel. 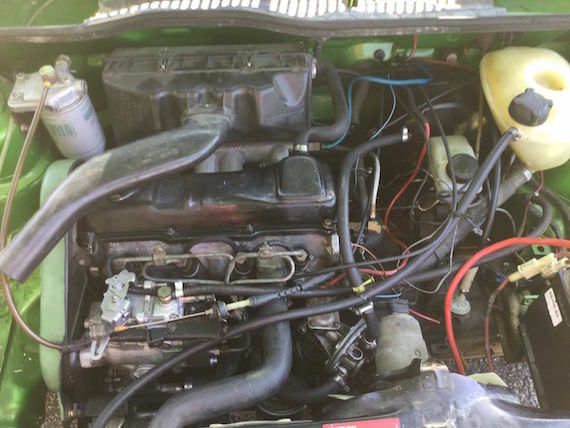 76K Miles on body, recent conversion to turbo diesel. 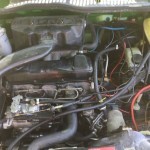 Motor gone through and freshened by RMF of Boise – all new seals and gaskets. 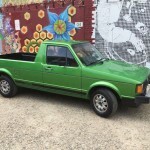 New: glow plugs, clutch, rebuilt fuel pump, rebuilt break booster, tie rods, break hoses, re tempered leaf springs, new tires on tarantula rims, headliner, windshield, spray on bedliner, carpet, upholstery on Jetta seats, stereo, urethane paint in Mazda spirit green. Spearco turbo charger with pyrometer and boost Gauges. 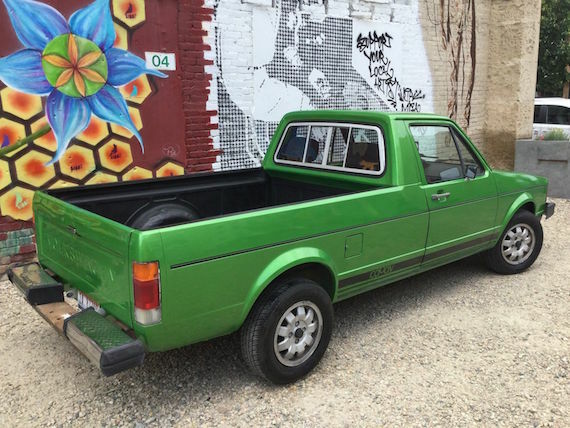 The description is concise but paints a picture of a great little truck. 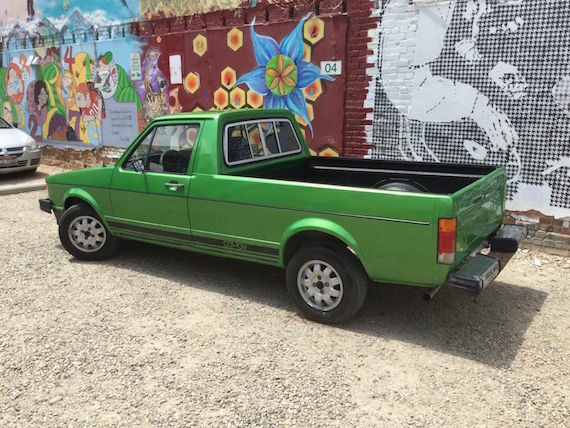 Not flashy, but clean; not fast, but fun – this is one of the nicest, least pretentious Rabbit Pickups we’ve seen. 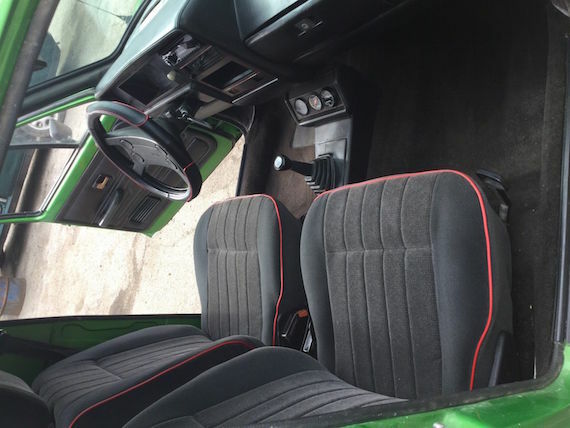 The green exterior is a bit much for me, but I really love the interior – looks like it could be stock but better! 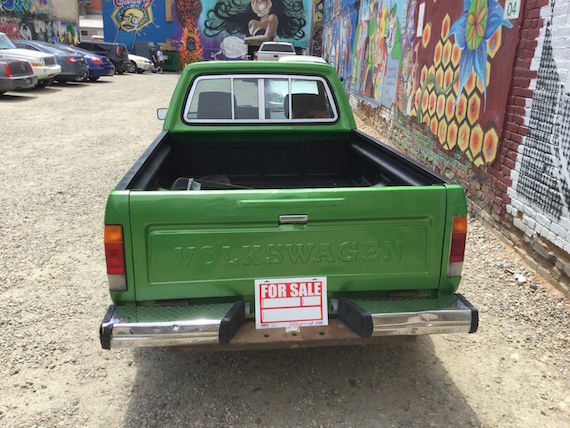 Aesthetic critiques aside, the real story here is that you can get better mileage than a Prius in a car with thousands of times more character. 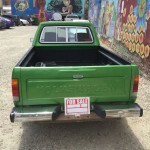 $6k is a great deal for this pickup! 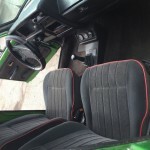 Tagged 1981, Caddy, diesel, mk1, Pickup, Rabbit, truck, turbodiesel, Volkswagen, VW. I drive a non-turbo version of this vehicle. I think your assessment is spot on. I think this is a fair deal on a car that will go another 100k miles with little worry, probably 200k miles with some new parts along the way. The fuel efficiency is where the dollars really add up with this car. I am tempted to sell my own Caddy which is not refreshed like this one, so that I may save myself the time and concern of rehabilitating it to this condition. And I would get a turbo. I should fly to Boise. I hope whoever buys this sends back word on the condition and adventures ahead.